With more than 20 years of experience in the real estate industry, Mark Henson brings a wealth of knowledge and experience to his real estate clients. 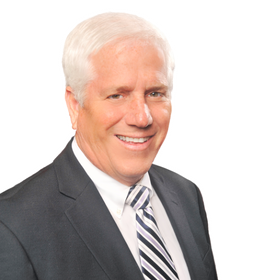 Mark has been involved in many aspects of real estate, including: residential, commercial and property management. His knowledge and skills cover many areas, but he is especially skilled in marketing and the financial aspects of buying and selling homes, namely: pricing homes, negotiating the best pricing and terms for his clients and thinking outside the box to solve problems. Whether dealing with a first time buyer, a luxury home seller, or anyone in-between, Mark respects the fact that buying or selling a home is a major life event and plays a significant role in a client’s financial and emotional life. Buying and selling a home is a process. Mark listens to fully understand his client’s wants and needs, making sure they understand every step and the significance of each decision they make and guides them through the process. He anticipates client needs, explaining each step of the transaction and responds quickly to calls, emails and buyer and seller concerns. The hard part isn’t finding the right home or receiving a contract, it is getting through to a successful closing. Mark is at his client’s side through the entire process to minimize surprises and protect their interests at every turn. He possesses strong communication and interpersonal skills and has the unique ability to work with clients in all types of situations. Mark holds an MBA degree from Indiana University and is also a Registered Investment Advisor. He was a business executive for a Fortune 500 company before moving to Atlanta in 1987 and owned and operated several businesses, before turning to real estate. When Mark isn’t busy with clients he, his wife and rescue dog, “Alfie,” enjoy boating, the outdoors and investing in real estate. They also volunteer their time and money in helping the homeless and disadvantaged, through various ministries and charities. Mark has the experience, skills and passion you seek. When you are looking for a knowledgeable and experienced real estate professional who will give you the guidance and attention you deserve and who will protect your interests, look to Mark Henson.